At third level the Town Hall, another layer with a flat tiled roof gets added to the top. At Third level the Town Hall has 1,850 , the upgrade cost is 4,000 and last for 3 hours. After finishing of the upgrade You will get the Experience: 103 . 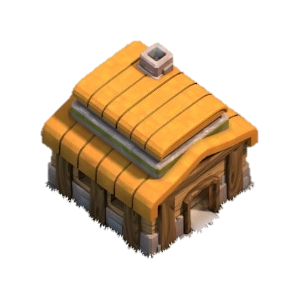 At this Level the Town Hall can store the following maximum amount of Resources: 10,000 and 10,000 . Third level of the Town Hall allows you to build 10 additional Buildings (Total is 27, including the Town Hall itself, Traps and 5 Builder’s Huts). The number of available sections of the Walls is increased by 25 (Total is 50). Very important new building at this Town Hall level is a Clan Castle, reconstruction of which allows you to join other Clans or even to create the own one. 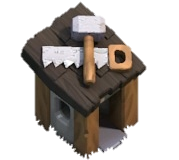 Very important new building at this Town Hall level is Clan Castle, building of witch allows you to join other Clans or even to create the own one.